Today, I want to write about bald-headed uakaris because they have a very unique face and are very cool. 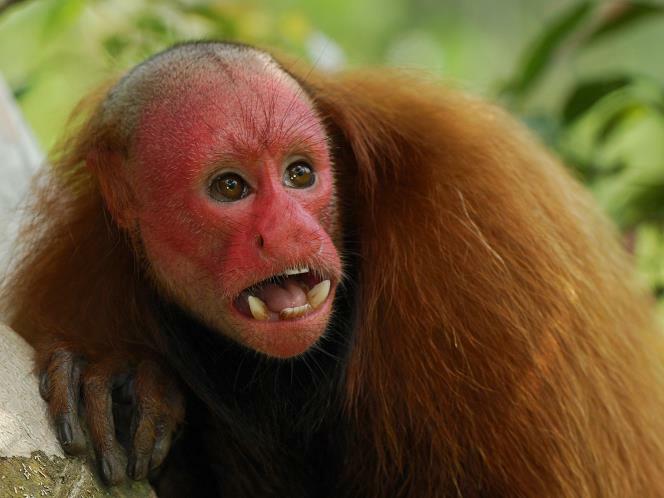 These medium-sized monkeys make look strange to us, but the redder their face is, the more attractive they are to each other. They live in groups of up to 100 animals. The bald-headed uakaris mainly eat fruit and nuts. They have very powerful jaws and sharp teeth that enable them to bite into nuts that other monkeys can’t. They live in trees near water in the tropical rainforests of the Amazon basin, in Brazil, Peru and Columbia and spend most of their time in the treetops, only coming to the ground during the dry season. They are considered vulnerable in the wild, mainly due to habitat loss. Are there any other interesting facts that you would like to share about bald-headed uakaris?